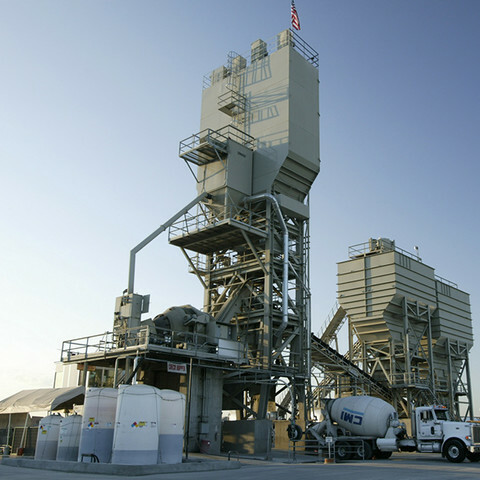 Stationary central mix concrete batch plants are the largest and most productive units available on the market. 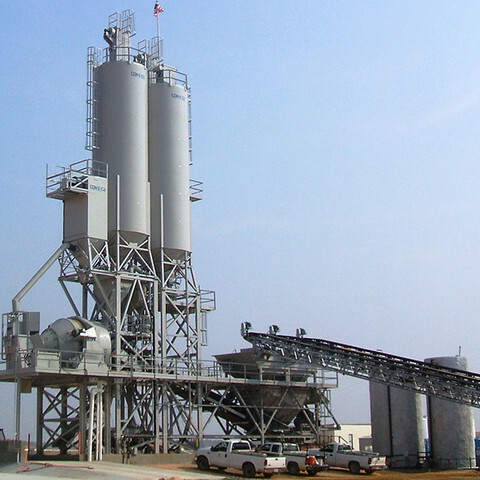 They offer massive aggregate and cement storage as well as high production. By adding a CON-E-CO mixer to a stationary batch plant, you have increased your production and decreased wear on your trucks. 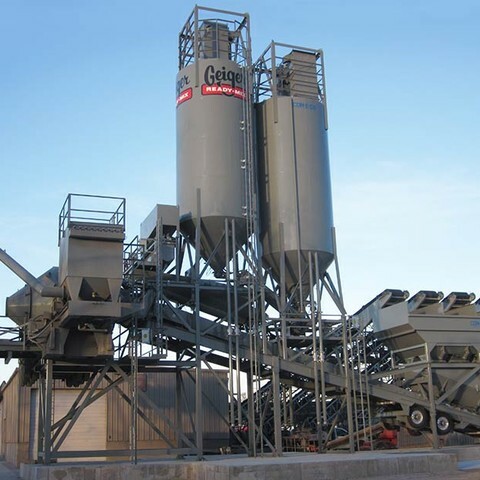 We will custom design a stationary central mix plant that fits your property and creates ideal traffic flow for ready mix trucks. 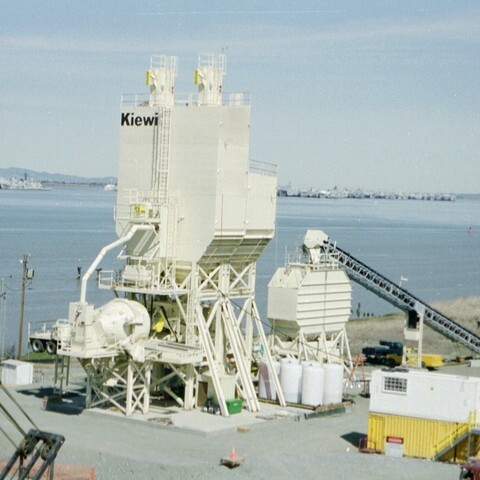 Almost all of our stationary plants can be coupled with either a Tilt Mixer or an Horizontal Reversing Mixer (HRM). If you would like to compare the benefits of central mix and transit mix, review our blog post on the subject. CON-E-CO are the only batch plant manufacturers that offer a 54” mixer charging belt, allowing truly unrivaled production capabilities for paving plants.